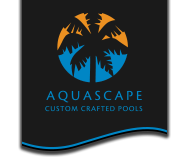 AQUASCAPE CUSTOM CRAFTED POOLS is an international award winning company dedicated to building unique pools, spas, fountains and water features. We combine practical experience with innovative solutions to ensure the integrity of the pool structure and design. Our fantastic relationships with leading architects and contractors along with our proactive communication style and depth of services has helped us to be a 100% customer referral based business. TODD HENDRICKSON is AQUASCAPE’S CEO, and has been in the pool industry for 25+ years. He began his career in Marin County by servicing and repairing pools for local builders, which eventually led to plumbing their pools. 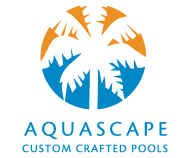 Todd has since built over 800 pools, fountains, spas and water features since forming Aquascape in 1996. Todd’s deep and broad knowledge enables him to provide insight and direction to many different projects throughout California. JAMAL WYATT was introduced to the commercial swimming pool trade at 18 years old where he learned the construction of pools from the ground up. He spent the next 6 years learning all he could about swimming pools, tile and masonry installation. In 2000 Jamal started Precision Pools, where he specialized in all glass tile pool installations. Jamal was a subcontractor for many high-end contractors, including Aquascape. In July 2009, Jamal joined Aquascape full-time and enjoys his role as our Construction Manager.